National security adviser John Bolton will travel to Geneva, Switzerland, next week to meet with his Russian counterpart, the White House announced Tuesday. The meeting will serve as a follow-up to last month's summit between President Trump and Russian President Vladimir Putin. Bolton and his counterpart will discuss a "range of important national security issues," White House press secretary Sarah Huckabee Sanders said. In addition to his stop in Geneva, Bolton will meet next week with officials in Israel and Ukraine, Sanders said. The U.S. last week hit Russia with sanctions for the use of a nerve agent on ex-Russian spy Sergei Skripal and his daughter in Britain earlier this year. The sanctions, which will go into effect about Aug. 22, will restrict the licenses granted for exports of national security goods and technologies to Russia. A second, harsher round of sanctions will go into effect in 90 days if Russia does not prove it is no longer using chemical weapons. [post_ads]Following his initial meeting with Putin last month Finland, Trump tasked Bolton with inviting the Russian president to Washington, D.C., for a second summit in the fall. After some initial blowback from Republicans and Democrats alike, Bolton issued a statement saying the next one-on-one meeting between Trump and Putin will be after the calendar turns to 2019, and following the conclusion of the special counsel's investigation, which he described as a "witch hunt." Trump has attracted widespread criticism for his handling of his meeting with Putin last month, where he blamed the U.S. for souring relations between the two countries and cast doubt on the U.S. intelligence community's conclusion that Russia interfered in the 2016 election. Trump later attempted to walk back his comments and express confidence in his intelligence officials, but undercut his own statements by suggesting others besides Russia could have been responsible and repeatedly referring to the Mueller probe as a "witch hunt." 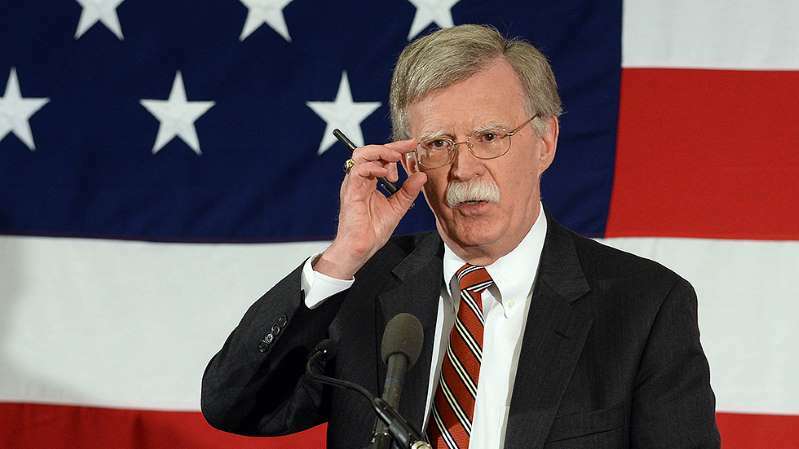 The White House has attempted to draw focus to the administration's actions, trotting out Bolton and four other top intelligence officials at a press briefing earlier this month to detail efforts to blunt foreign influence campaigns. Bolton himself denied that there's a disconnect between the president and his staff regarding whether Russia interfered in the 2016 election and continues to meddle.